David's Home Entertainment is family owned & operated, located in Western NC since 1983. We are dedicated to customer satisfaction and providing the best in home entertainment - hot tubs, swim spas, gazebos, satellite TV, home theater, pool tables, and much, much more. We sell, service and deliver in North Carolina, South Carolina, Tennessee & Virginia. For more information on our spas, visit Master Spas YouTube Channel. 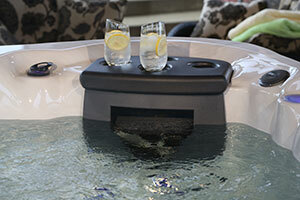 Select from a wide range of Hot Tubs at our store today! Swimming the whole family can enjoy! Enjoy the comforting features and entertainment that comes with our Hot Tubs and Swim Spas.